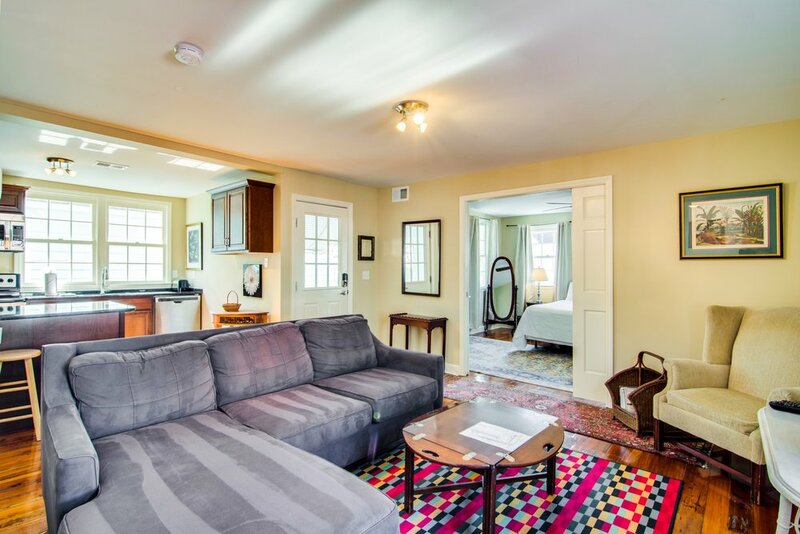 This lovely second floor apartment was completely renovated and remodeled in early 2015. In the living area you will find a flat screen TV and a comfortable sectional sofa. The kitchen was fully updated with stainless steel appliances and new counter tops. Each of the bedrooms offer a queen size bed and there is one hallway shared bath, making this unit perfect for a couple's getaway or small family vacation. This rental is only available for a minimum of 30 days.